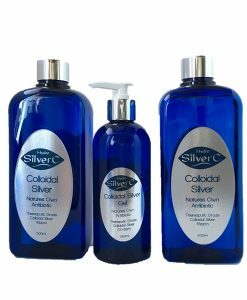 Colloidal Silver Cream can help with relief of rashes, burns, dry itchy skin, cracked skin, jock itch, infections of the nails, skin and scalp, dermatitis, leg ulcers, cold sores, tinea or athletes foot, dry rough skin on elbows, knees and feet. 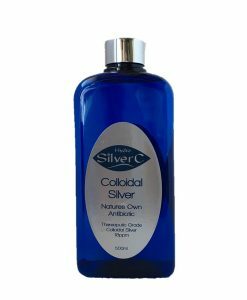 Colloidal Silver Cream can help with relief of rashes, burns, dry itchy skin, cracked skin, jock itch, infections of the nails, skin and scalp, dermatitis, cold sores, tinea or athletes foot, dry rough skin on elbows, knees and feet. It has been successfully used on leg ulcers, psoriasis and eczema. In fact even as a face moisteriser for very dry skin. A great all round cream to have on hand at all times. 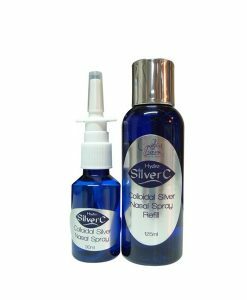 When you have a skin condition that just won’t heal then try the colloidal silver cream. Many people are getting a lot of benefits out of the cream and finding that its healing stubborn skin conditions where other creams are not. 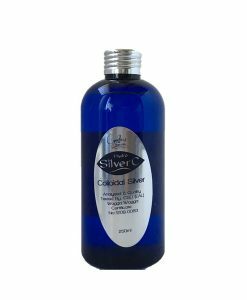 Colloidal Silver Cream is a special formulated cream to help relieve and rejuvenate many skin conditions. 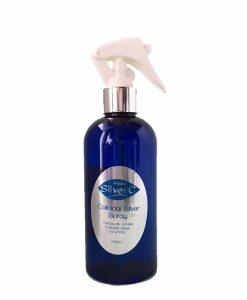 The active ingredients have been chosen for their antiseptic, anti fungal, antiviral and anti-inflammatory ability that by nature has soothing and healing qualities. Moringa Oil – The oil has hydrating properties that help in softening dry tough skin and maintains natural moisture. It also contains hormones known as cytokines, which stimulates cell growth. 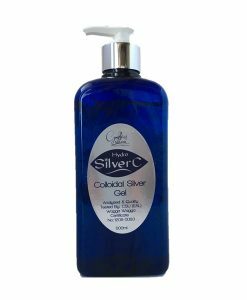 A great treatment for rough and dry skin conditions, such as dermatitis, eczema and psoriasis. Baobab Oil– Is naturally packed with many important vitamins including Vitamin E and F, which are crucial components for healthy elastic skin. Because it contains vitamins A and D3 in addition to E and F its high antioxidant content helps repair skin and supports natural skin defenses, even in the exposed outer layer of skin. Truly having multiple effects, baobab oil, attacks skin health problems in three ways by helping to repair already damaged skin on the outer layer, protecting deeper skin cells from the harmful free radical generating oxidation process, and stimulating existing skin cells to provide a protective cell barrier. Lanolin – Deeply moisturizes skin and creates a protective barrier that helps hold in the colloidal silver and prevents skin from drying out. Essential Oils – Chosen for their antibacterial, anti fungal, antiseptic properties to help with healing of the skin. Essential Oils of Lavender, Cedarwood, Lemongrass and Tea Tree. Please note the Essential Oils in this product are considered safe on children, please do a test first to make sure they are not sensitive. 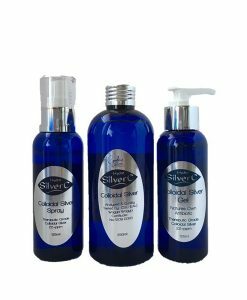 The essential oils in Colloidal Silver Cream are not safe for pregnant women. Hello Cynthia, thank you so much for the prompt delivery of my goods, Just love them! they feel and smell just beautiful. I have suffered from dermatitis on my hands for years. We have been caring for foster babies and our little granddaughter, so my hands are always in water. Hence my hands have been in a terrible state lately. 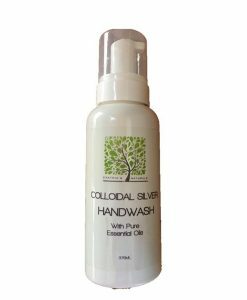 Your colloidal silver cream has repaired my hands amazingly in four days. In another day or two they will be 100% healed. 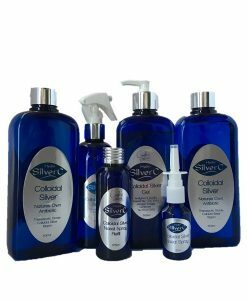 My hubby is now using the colloidal silver cream on a rash he has developed on his back-he finds it very soothing. Also he has started using it on his feet for dermatitis, as my hands have cleared up amazingly and he wanted to try for himself!! So happy with your products. Love the body cream too-amazing feel and smell. Thank you so very much. I am looking forward to trying more of your lovely products. I absolutely love this product. I am confined to a wheelchair and my feet have zero circulation. My carer’s massage this on my feet everyday after my shower. Along with raising my legs and using silver products my feet and skin are still fine. 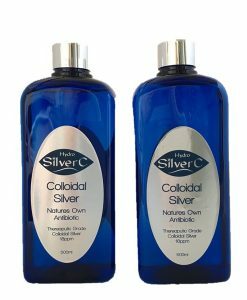 I highly recommend Cynthia’s Colloidal Silver products.